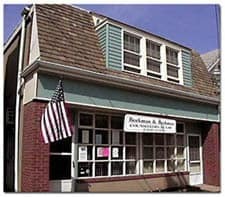 The Beekman Law Firm, LLC, is a general practice firm located in the Ocean Grove historical district of Neptune Township, Monmouth County. 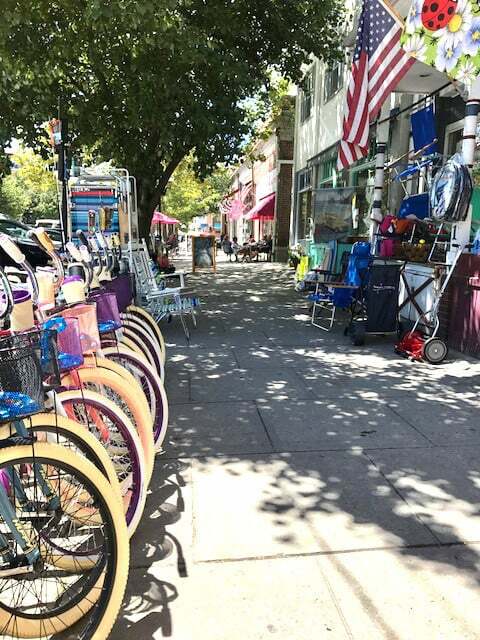 Our practice primarily serves the Jersey Shore but extends to the entire state of New Jersey. We are also licensed to handle cases in New York State and Florida. The firm provides legal services to many individuals and businesses in matters involving residential and commercial real estate; residential and commercial leasing; land use; estate planning, administration, and litigation; business acquisitions, formation, and planning; governmental law; and other family-oriented legal issues. See our Areas of Practice. We have a thorough knowledge of local and state affairs, and as a small firm, we are able to give our clients the personalized attention they deserve. If you've been holding off on getting legal advice about an issue, contact us for a consultation and we'll be glad to discuss it with you. For time-sensitive matters, please call us at (732) 774-8262. Examples: real estate; leasing; land use; estate; business transaction, or other (explain). Don't put confidential information into this form - wait until we contact you. Donald Beekman, Esq. 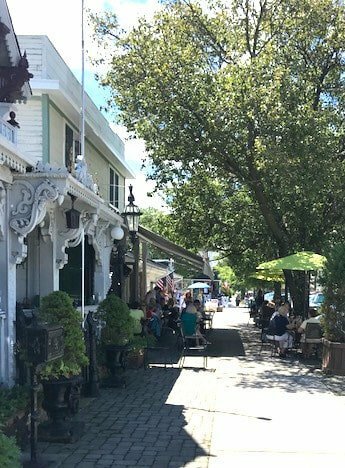 (1949-2017), the firm’s founder, established his legal practice in 1975 and opened the current office at 47 Main Avenue, Ocean Grove circa 1981. He worked as a solo practitioner from 1994 to 1997. His nephew, Jeffrey Beekman, joined him in 1997, and they were later joined by Don's son, Christopher Beekman, in 2008. Jeffrey and Christopher continue to advance Don’s legacy and the firm’s reputation. 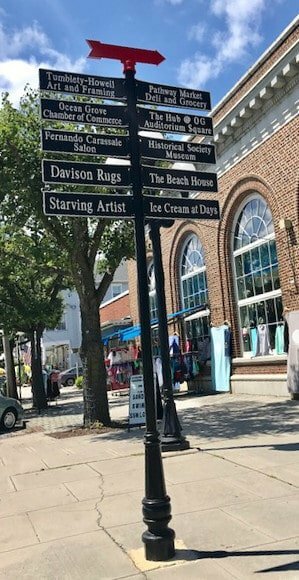 We are proud members of the Ocean Grove Area Chamber of Commerce, and we enjoy participating in community fundraising events and other activities. Being a family-friendly firm, our clients are often drawn from generations of families, yet we always welcome new clients and their families. We’ve grown up here, and continue to grow here, just like many of our clients. Jeffrey P. Beekman received a Bachelor of Arts degree from Lehigh University and a Juris Doctor degree from Benjamin N. Cardozo School of Law, New York, New York. He was admitted to the New Jersey State Bar in 1997 and the New York State Bar in 1998. Jeff has been with the firm since 1997. Jeff has represented individuals and entities (business and public) in New Jersey and New York, primarily in residential and commercial real estate, land use, municipal/county government, municipal land use boards, commercial and residential leasing, landlord/tenant litigation, and business acquisitions. Christopher L. Beekman received a Bachelor of Science degree from Bucknell University and a Juris Doctor degree from St. Thomas University School of Law. 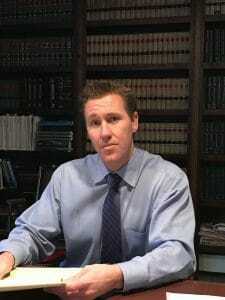 He was admitted to the New Jersey State Bar in 2008 and the Florida State Bar in 2012. Christopher began his career with The Beekman Law Firm in 2008, spent a year clerking for the Monmouth County Prosecutor's Office, then returned to the firm. He has represented individuals and entities (business and public) throughout the states of New Jersey and in Florida in various legal matters, primarily in residential real estate, municipal/county government, landlord/tenant litigations, collections, and civil litigation. It has been a joy to grow up in and now raise a family in Neptune Township, New Jersey. I have had the opportunity to work with different generations of my own family at our firm, in a place I’ve known and loved for most of my life. As an attorney, it has been my philosophy to make sure our clients not only focus on their personal goals but also consider how those goals might impact their family or business lives and their community. It is often those conversations about how a client’s initial requirements may clash with their other life considerations that can make a positive impact on, and provide a personal touch with, our client’s decision-making, and also on the firm’s reputation. This philosophy is embraced by the firm’s attorneys and staff, and it has created a reputation that enables our firm to grow with positive referrals and testimonials from both clients and colleagues. It also may be what separates us from other firms and attorneys. Purchases and sales of residential, multifamily, and commercial properties; refinances and real estate litigation actions. Preparation of Last Will and Testaments (“Wills”), Living Will Declarations, Powers of Attorney, Living Trusts, Elder Law Estate Planning and Estate Probate matters (Administration and Litigation). File documents to establish and amend corporations, limited liability companies, partnerships, and other business entity formations; prepare business dissolutions; and prepare stock transfers, by-laws, operating agreements, resolutions, minutes, records, and other business entity documents. Landlord and tenant dispute; filing Complaints, Answers and Motions; Marini hearings and trials. Planning Board and Zoning Board of Adjustment applications; representation of other interested parties; appeals from Planning Board and Zoning Board of Adjustment Resolutions. Personal injury; automobile accidents and other damage claims; condemnations. Pre- and post-judgment collections and filing of judgments against debtors; wage executions. Traffic, DWI, possession of illegal substances, civil and criminal disputes. Pre- and post-divorce actions; equitable distribution; child custody and support; domestic violence actions. I am a real estate agent with Pittenger Realty and The Beekman Law Firm is always my first recommendation. They are always quick to respond and their attention to detail and meeting the needs of my clients whether buying or selling shows their professionalism and expertise. They are always a pleasure to work with! Jeff Beekman always comes highly recommended by me! His professionalism and knowledge of the real estate industry is unsurpassed! He is patient and caring to all of his clients and shows much respect to the Realtors. Thank you, Jeff, for all that you do!! We have known the Beekman family for thirty years, when our sons became friends. We began calling on Don Beekman for legal counsel, advice and making our Wills. Jeff and Chris have done a wonderful job keeping that legacy going. We trust The Beekman Law Firm for ALL our legal needs. They are honest, have integrity, and are hometown boys! I have the continued privilege of working with The Beekman Law Firm in both the private and municipal sector. Whether it was for a tax appeal, real estate closing or county project, Jeff, Chris, and Don have been total professionals. The Beekman Law Firm is the epitome of professionalism and service. No matter what legal services you need you are treated with the highest amount of respect and integrity. From review to closing The Beekman Law Firm handles each real estate transaction with professionalism and care for all clients involved. I've recommended them numerous times and continue to in my 12 years as a Realtor. I used The Beekman Law Firm to help me with the purchase of a new construction home. It's a little different than buying a home that is already built. Jeff was informative, easy to get a hold of and walked me through the entire process. I would highly recommend his services. I have used Chris and Jeff for many years and continue to get the job done. Very responsive and professional, it’s always a pleasure working with Beekman Law Firm. When you call the Beekman firm you are not just calling very professional which they definitely are, but neighbors and friends and you are treated that way. For sure Donnie set the tone but Jeff and Chris carry on the traditions.